Thank you so much BCS - you've been really helpful and patient installing our mods for us - we'll definitely be back for more! BCS Engineering :: X-Cart Customer Experience :: X-cart Category Presentation :: Product Sort by Pro for X-cart! 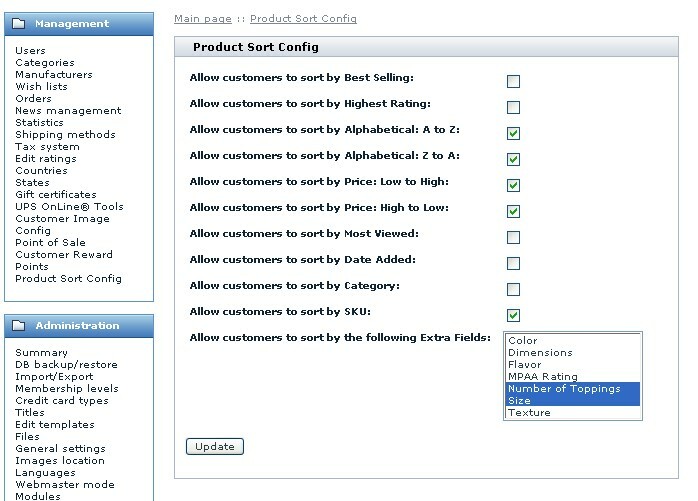 Turn on or off any standard included sort by fields as well as select which extra fields you want to sort by. As with all BCSE products, you are entitled to 3 months of upgrades! Be sure and enter your shop domain to be eligible!